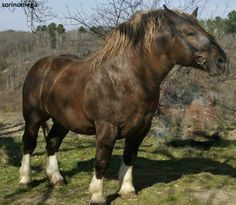 The Murakoz Horse is a breed of horses from Hungary that are known for their wonderful temperament, strength, resiliency, and power to thrive in environments with a scarcity of food. 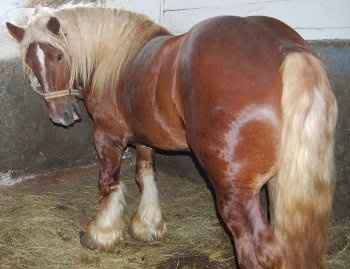 Originally a horse used for farming, and even ploughing, this breed was about to go extinct. 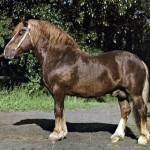 With the successful introduction of new bloodlines in this breed after the World War II crisis, these horses, in recent years, have proved to be more attractive and sound. They are also known to be an economical feeder, but at the same time, a good worker. 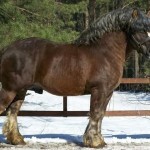 Currently, the Murakozes are bred in two versions, with one version being more massive and taller and are utilized in the draft- or other heavy works, while the smaller one is meant mostly for farms and under-saddle works. However, despite all the efforts to get back the former population count of the Murakoz, it is quite unlikely to regain its previous numbers. 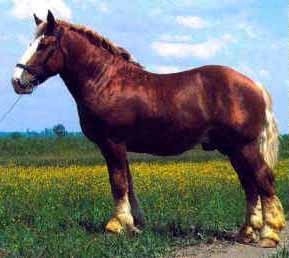 Today, the Muraközi horse is bred in Poland, Yugoslavia, and Hungary. 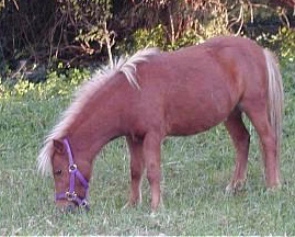 Feeding/Diet Can survive on frugal pickings; general horse diets consisting of hay, grass, grains, vegetables, etc. 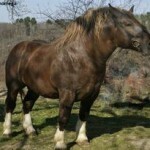 The name of the Murakoz Horse has been derived from the town of Murakoz situated in Hungary. 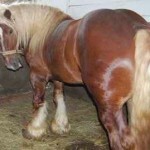 This breed saw its development at the beginning of the 20th century, when it was used as a heavy draft horse on the farms around the Mura River in southern Hungary. 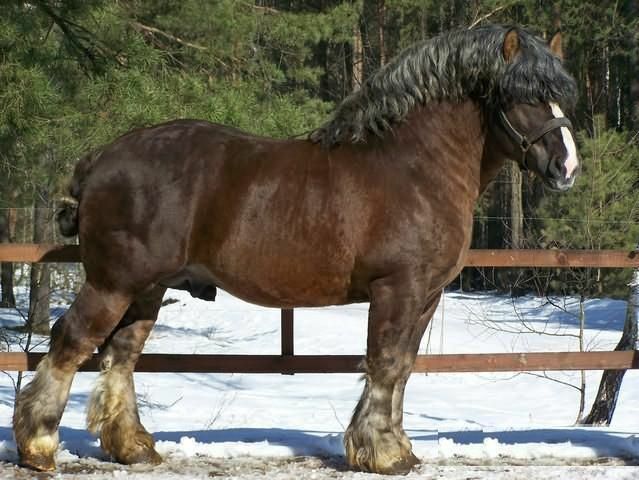 The foundation stock of this breed was initially the native Hungarian mares that were called ‘Mir-Insulan’, which were made to breed with other various breeds like the Noriker, Percheron, Ardennes, as also with the native Hungarian stallions. During World War II the breed’s numbers were seriously depleted, and additional Ardennes blood was added. 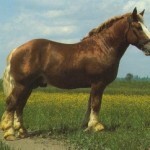 This breed was much popular with the farmers, specifically during the years in between the first and the second World Wars. 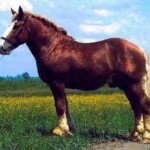 During the time when arable farming became popular in Southern and Eastern Europe, these horses started to be used in large numbers. It was soon after the end of the World War I, and the Murkoz horses flourished in numbers owing to its great demand among the farmers, as also other people. By the middle of the 1920s, the Muraközi breed made up to 20% of the total horse population in the country. 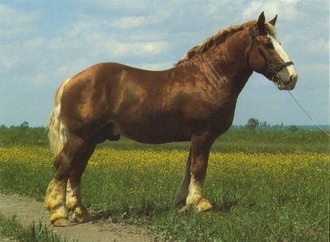 Later, between 1947 and 1949, 59 Ardennes stallions were imported from Belgium and 17 from France. This helped in reestablishing the breed again within a short period of time. 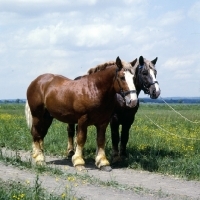 In the 1970s, almost 231,000 Murakozes still continued to work in the farms of Hungary, and this count constituted around 80-85% of the total horses in the country. 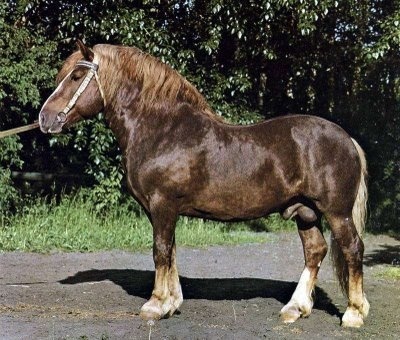 With the termination of the World War II, the number of horses in the breed conspicuously depleted, encouraging the breeders to introduce blood from other breeds, which, in turn, promoted the revival of arable farming. The Murakoz can be made to work when they are only two years old, since they mature at an early age. A notable feature of this breed is their large, kind eyes. 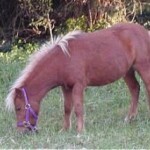 The most conspicuous characteristic of these equines is their ability of converting food into energy very efficiently. This is the reason these horses can withstand environments with a scarcity of food.